Enjoy a cosy dinner under the stars! Step into the heart of Bangalore at Benhur Pride a fien hotel with a warmly decorated interior and an inviting ambience. The bedrooms at the hotel appear spacious and comfortable with light colored walls and heavy wood furnsihings. Th ehotel also has an in-house restaurant and a bar that the guests can enjoy the use of. 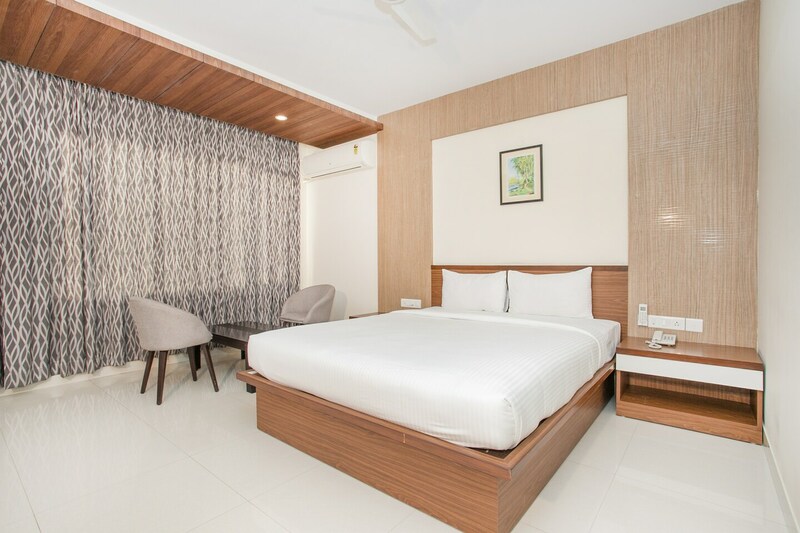 Other amenities offered by the hotel are free Wi-Fi, power backup, a geyser, kindle, CCTV cameras, laundry and parking facilites and a card payment option. The area is also well connected by all the means of local transport. Famous tourist spots like Sri Magaji Dhondusa Munna Bai Kalyana Mantapa, Sri Gavi Gangadhareshwara Swamy Temple and Sri Maheshwari Temple are very close to this area.